You get to see the folders in the left from where your current background is, and you can import images to the list by clicking on the + option in the left bottom. 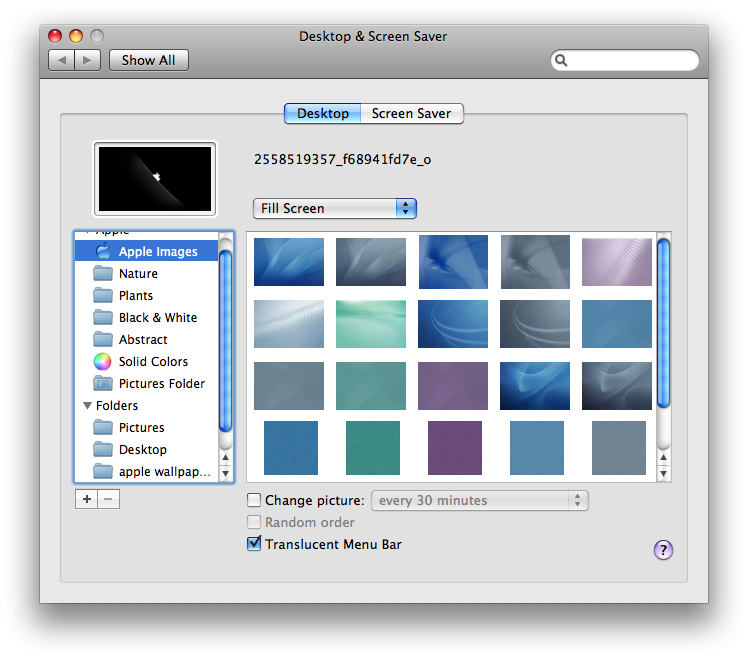 It will open a new window to search for the folder, and select the picture you want to add as desktop background. 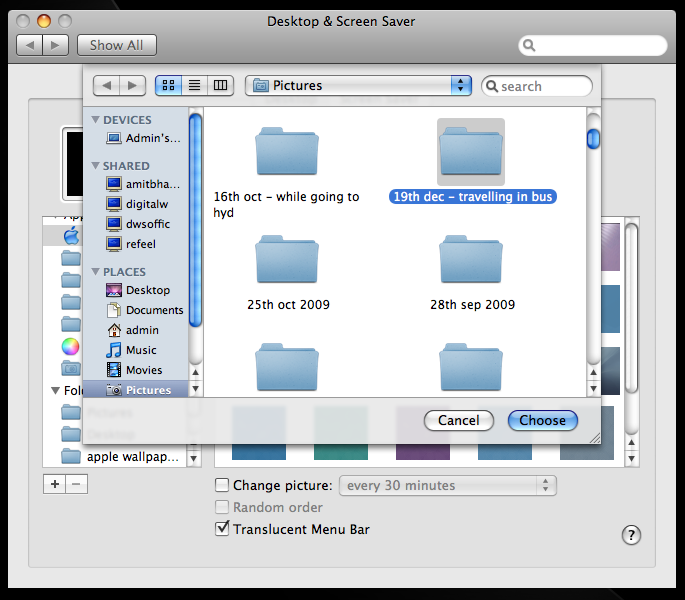 Once you have selected the image, all the other images and the folder gets listed in the left section, and you get to choose from any other picture of the same folder, in the right section. 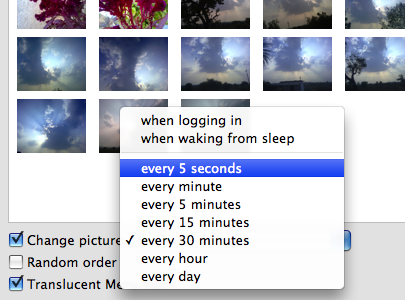 Apart from just selecting a static desktop background picture, mac also gives an option to rotate the background images for fixed time periods like 5 seconds, every minute, every 5 minutes etc. time intervals. 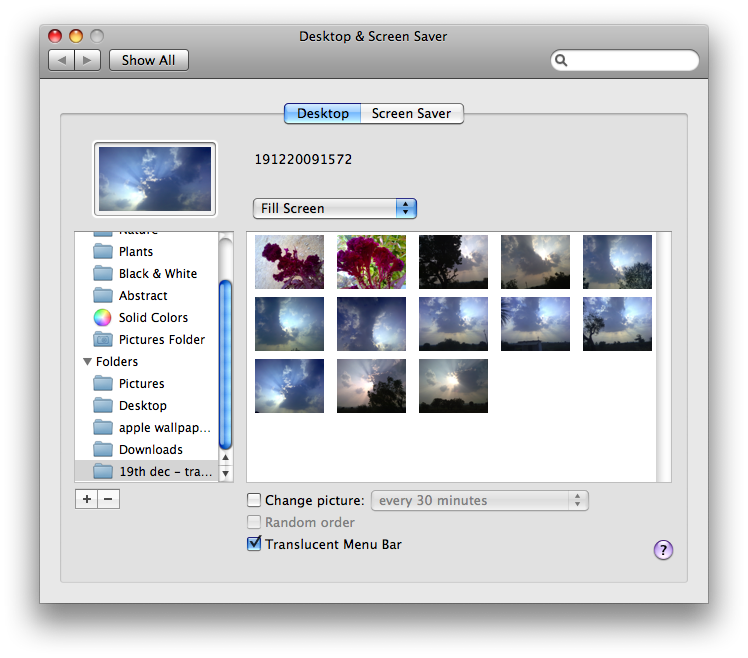 And the pictures are rotated within the same pictures folder which you have selected. Its a very basic tutorial for those who are new to mac, and don’t want to risk much trying out things directly in the system preferences. 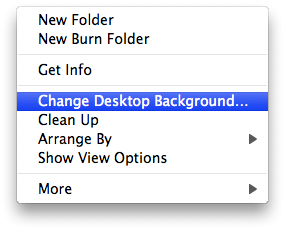 The option to change the Screen Saver is also in the same panel, and things are similar with those of the desktop background change.